MONTICELLO, Ark. (AP) – Authorities are investigating after a college baseball player from Oklahoma was seriously injured when he was struck by a vehicle in an apparent hit-and-run crash in Arkansas. Arkansas State Police say 20-year-old Joseph Cerda Jr. of San Antonio was hit by a dark-colored car Saturday night in Monticello, about 80 miles southeast of Little Rock. 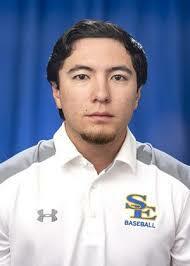 Cerda is a member of Southeastern Oklahoma State’s baseball team, which had played a game Saturday at Arkansas-Monticello. Police say Cerda and his teammates were walking across a highway to go to a restaurant when he was struck by a car that didn’t stop. Cerda was taken to a hospital in Monticello and later airlifted to a Little Rock hospital. His condition Monday was not immediately available. No arrests have been announced.